The new Muppets movie is upon us, and it's great to see a lot of people excited that these classic lovable characters are coming back to the big screen. Disney has unleashed some new promo stuff for the movie that we can enjoy. We've got a new trailer, a collection of new character posters, and a Fan-A-Thon video featuring Gonzo. 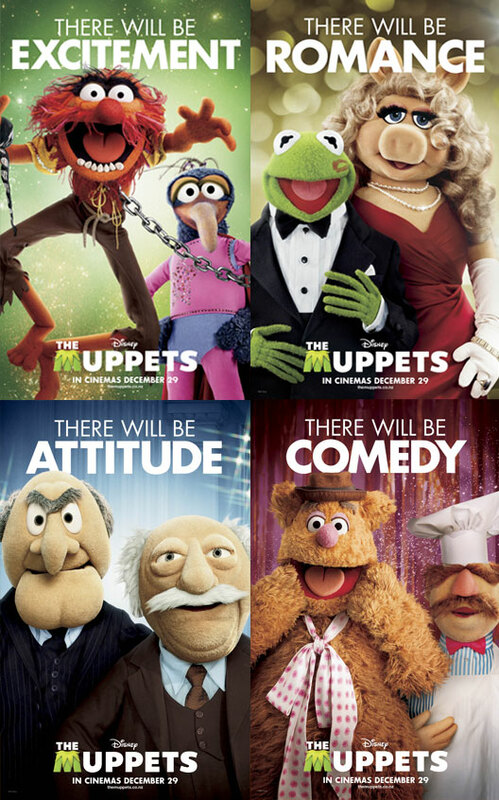 Check out the new Muppets stuff below and tell us what you think! The Muppets are currently holding a "Fan-A-Thon" to see if their Facebook can get to no less than a bazillion likes! Once they do so, they'll offer fans a chance to get free tickets to advance screenings of The Muppets movie! The film was directed by James Bobin (Flight of the Conchords) and also stars Frog, Miss Piggy, Fozzie Bear, Gonzo, Animal, Chris Cooper, Rashida Jones, Zach Galifianakis, Ricky Gervais, Alan Arkin and Billy Crystal. and Walter. Like many of you I grew up watching The Muppets, and it will be great to see these classic characters up on the big screen again. The film is set to come out on November 23rd 2011.